Howard started with an AMT 1929 Ford roadster kit. He assembled the entire frame, engine, suspension, running boards, and everything from the cowl forward in stock configuration, according to the basic kit instructions. 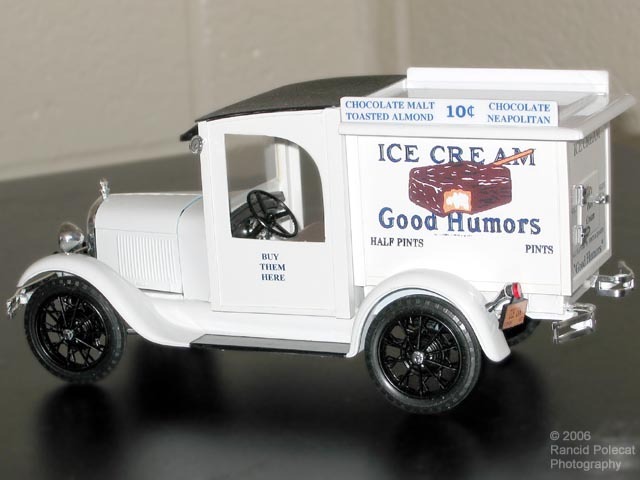 Working with Evergreen sheet and strip styrene, Howard scratchbuilt the cab and ice box, combining elements of various ice cream truck designs from the mid 1920s through early 1930s.